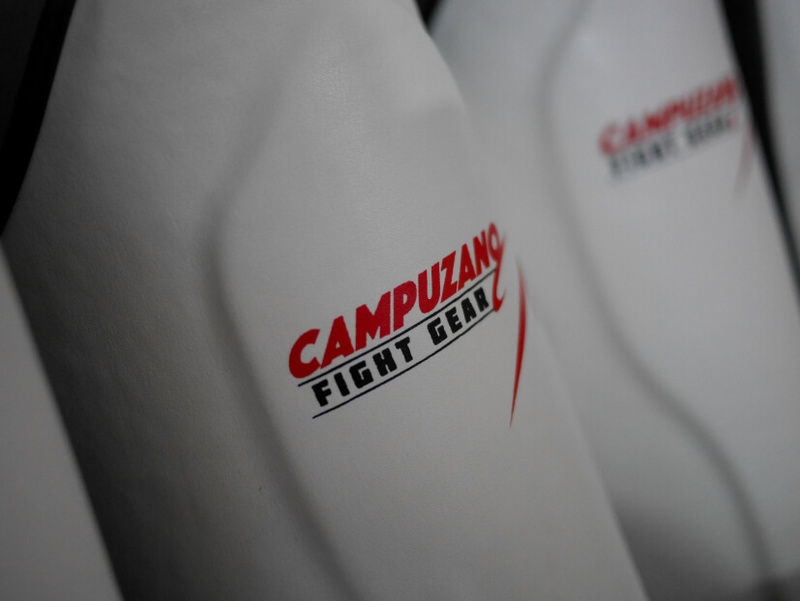 After training with us at Campuzano, you will want to make sure you look as good as you feel with Campuzano training gear! 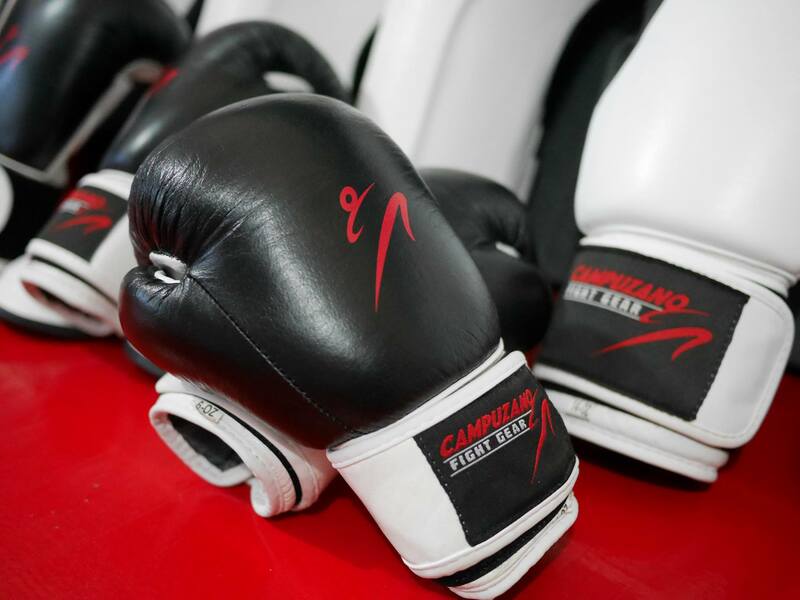 These Campuzano brand kickboxing gloves are perfect for sparring, drills, and mitt work. Available in both white and black. Premium curved anatomical fit. Our Campuzano brand shin guards are built for champions with 100% synthetic leather that feels great while standing up to kick after kick. With high density foam, these shin guards will protect you with enhanced shock absorption while encouraging mobility and speed. 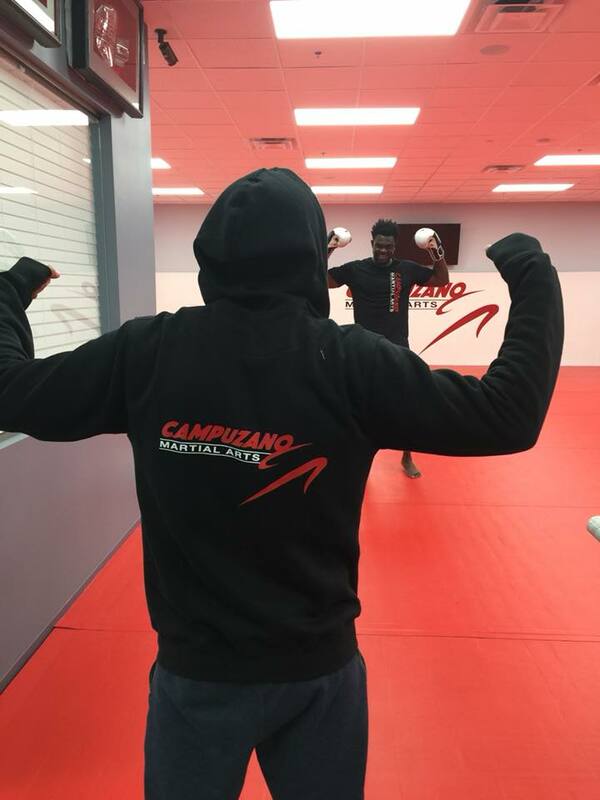 Hi the streets or head to the Octagon in style with this great looking Campuzano Martial Arts hoodie. 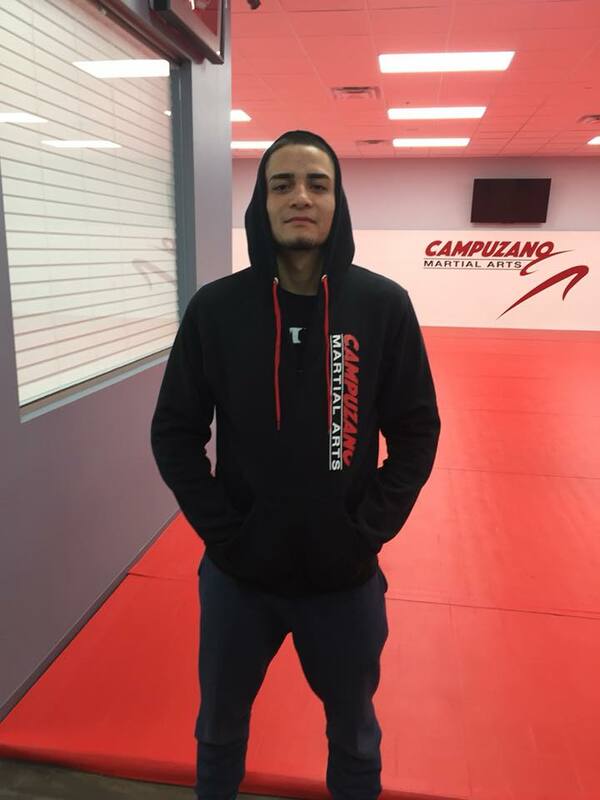 Made out of thick and comfortable cotton with a vertical Campuzano logo on the front and a horizontal logo on the back, this hoodie feels as good as it looks!